How long did Jenelle Evans manage to keep her pregnancy a secret for from Barbara? That was questioned on Teen Mom 2 Season 8 Episode 5 when Jenelle got worried how her mother would react to the news of her new addition. 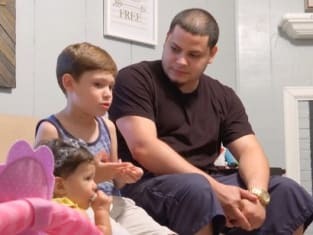 Meanwhile on this hit MTV reality series, Javi and Kailyn had a major fight when he showed up at the house unannounced. Did they manage to work something out to prevent the kids from being affected? Also, Chelsea and Cole questioned whether it would be a good idea to postpone the wedding. Use the video above to watch Teen Mom 2 online to get caught up on the latest drama.